A little over a week ago, the Cleveland Cavaliers decided to hit the reset button on the season, shipping out several players, including Isaiah Thomas and Dwyane Wade. Many people pointed to Thomas’ as the reason the Cavs fell off the map because of his constant complaining to the media. The most notable situation revolved around reports that I.T. took issue with Kevin Love leaving a game early against the OKC Thunder, which ended with the team losing by 24-points. 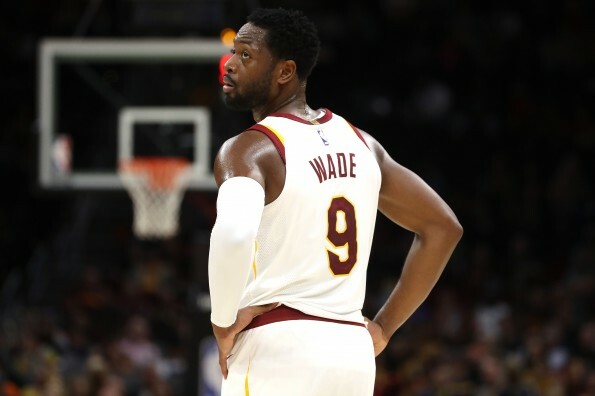 In the days since the roster turnover, more info has been revealed and it turns out that Wade was the main instigator of the situation with Love, according to Joe Vardon of cleveland.com. The 36-year-old veteran was reportedly the first player to seek out head coach Tyronn Lue and grill him about Love’s whereabouts during that game. After a few teammates reportedly let him have it, Love eventually explained the situation. Shortly after the team meeting, trade discussions involving Wade came up almost immediately and he accepted the opportunity to return to the Miami Heat.